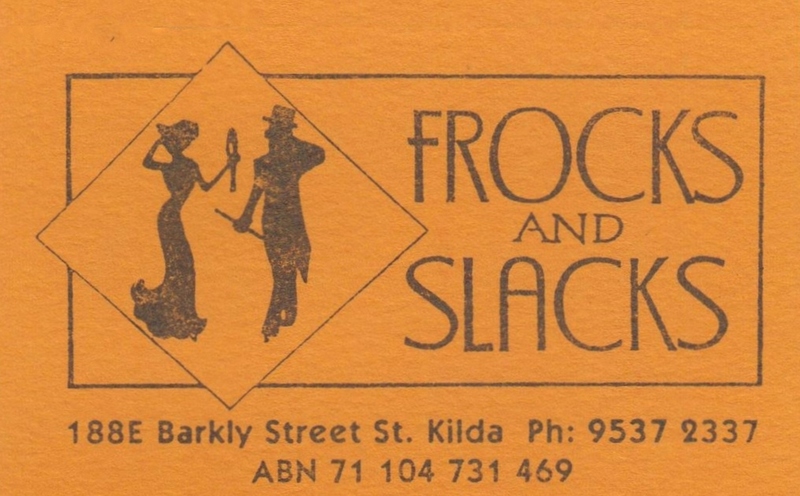 Frocks and Slacks is an old school vintage store located in St Kilda, Melbourne. 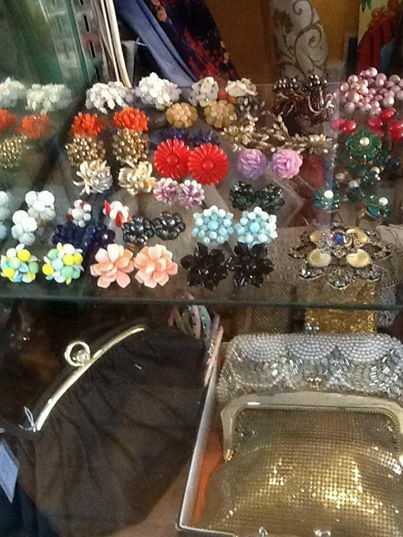 It could possibly be that “hidden gem” us vintage obsessed shoppers are constantly seeking. 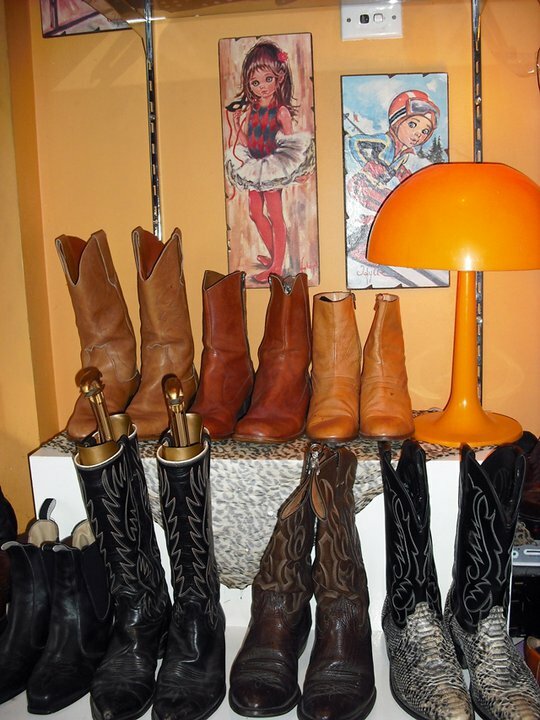 The store is filled to the brim with vintage treasures for men and women at truly affordable prices. 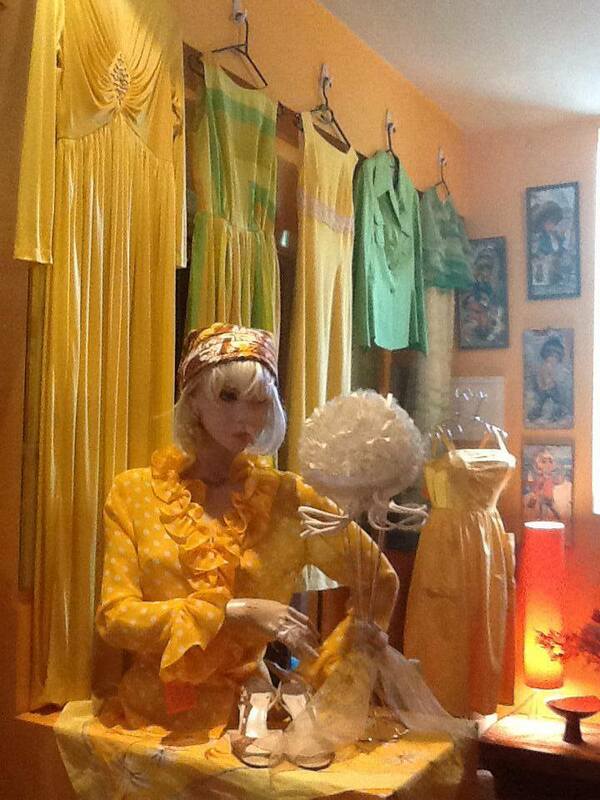 This vintage shop has that old school feeling of days gone by, with quirky displays and old fashioned customer service. It reminds me of my early days in retail; this store exudes nostalgia that simply can’t be replicated by big corporations. 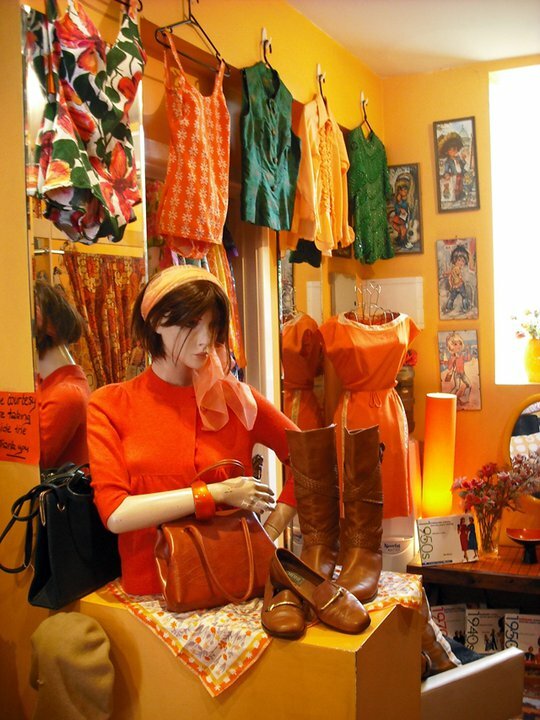 When I talk to Tracey, the owner of Frocks and Slacks, she tells me how difficult it is to sustain her small store and the difficulties to continue trading. As with many small businesses around Australia, unless we show our support for these stores, they will be gone forever. VSA: When did Frocks & Slacks first open? VSA: How did you first become involved in Vintage Clothing? Tracey: I had always been an avid op shopper and back in the day you could find many genuine treasures in all the op shops in Melbourne. I was also attracted to the idea of wearing something that no one else would have. This evolved into an incredibly large collection and I began to sell to a couple of local stores, and from there the opportunity presented itself to take over the lease of an existing store and make it my own. Little did I know that 15 years later I would still be doing it. VSA: For those who have not visited Frocks and Slacks, what can they expect to find in your store? 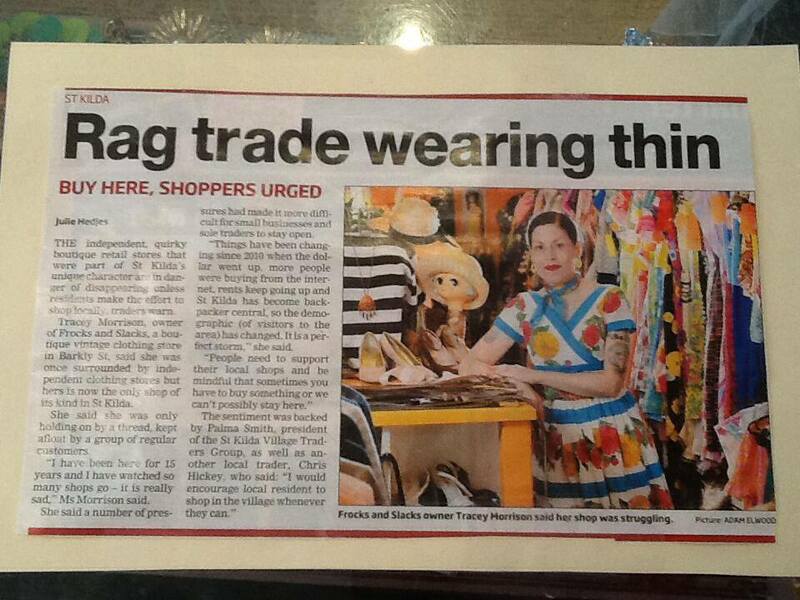 Tracey: When people visit my store they always comment on the incredible quality of the clothing. Many cannot believe it is actually vintage as most of it appears in new condition. 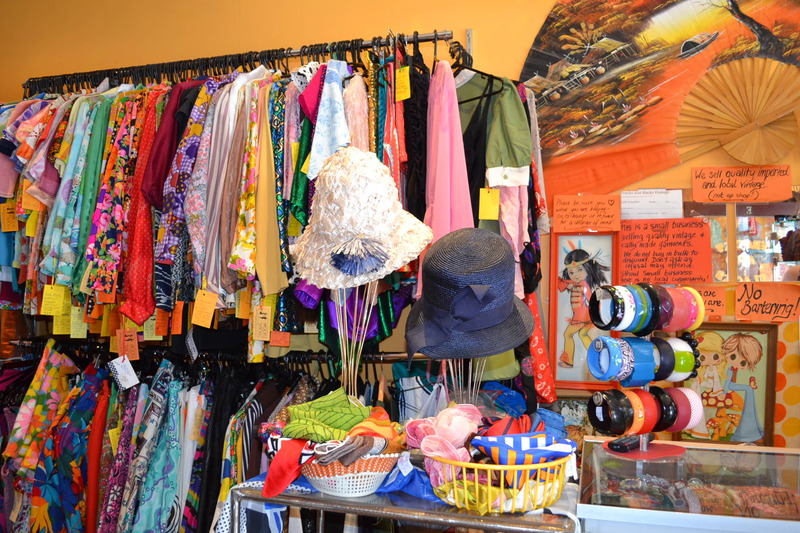 We stock a great array of men’s and women’s clothing ranging from the 40’s through to the 80’s, specialising in 50’s, 60’s and 70’s. Loads and loads of bright, colourful pieces from the world over. Primarily from the United States and Australia. VSA: If you could own one iconic piece of clothing what would that be? Tracey: That is such a hard question!! But I would have to say a 1930’s/40’s wide leg jumpsuit (used to be called lounge pyjamas). They are so flattering and impossible to find. VSA: What do you love most about your business? Tracey: I love the social interaction with my customers who are genuinely interested in the history of the clothing, the fit, the fabric etc. I have many, many loyal clients who spend a minimum of two hours here whenever they visit, and it is kind of an event for them. I find it most flattering that people choose me and my store as a place that makes them feel good. Being told the garments they have purchased from you are the ones they get the most compliments from is very gratifying. VSA: Is there anything else you would like to tell us about your wonderful store? Tracey: Frocks and Slacks was created to have that “old school” appeal. A place where you develop a real relationship with the owner and can have specialised service; where you know I will do all I can to find you the absolute right outfit for you and the occasion, if you let me! VSA: Where can we find you, and what are your trading hours? How’s that for fabulous, old fashioned customer service ? 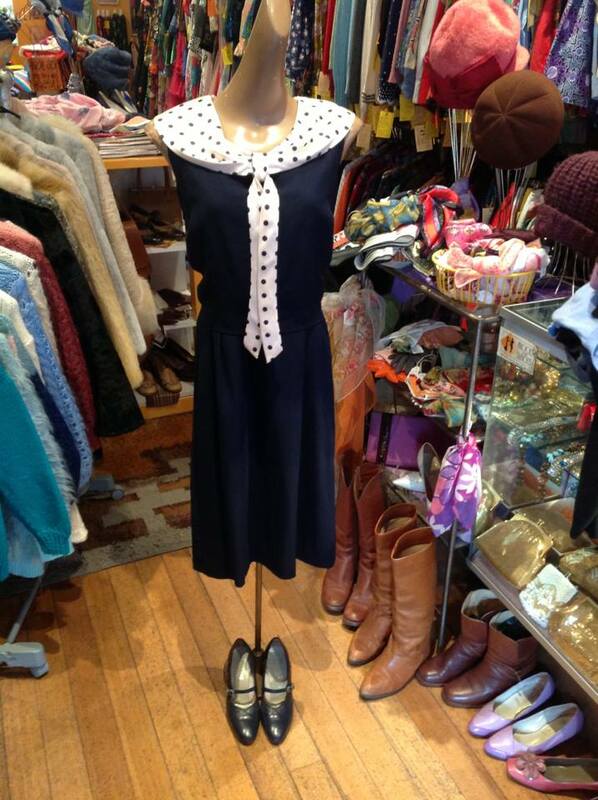 Tracey, thank you so much for talking to me at Vintage Shops – Australia. Wednesday 12am – 5pm. Thursday 12am – 5.30pm. Friday 11.30am – 6 pm. Saturday 10.30am – 5pm. 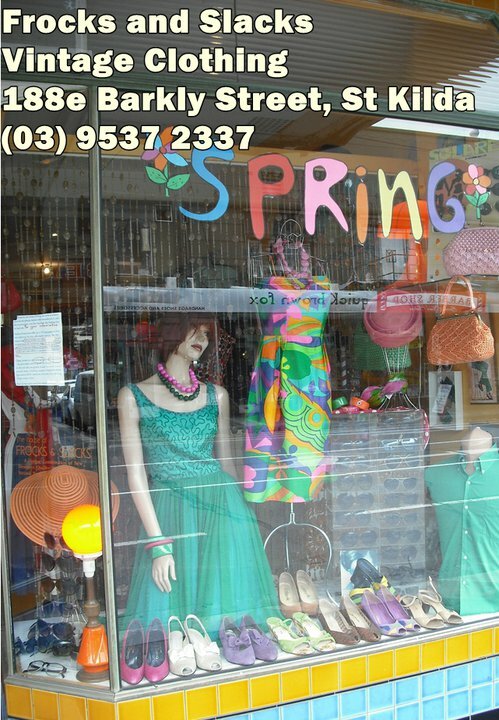 This entry was posted in interviews - vintage shops and tagged 50's, 60's, 70's, Frocks & Slacks, mens vintage, vintage accessories, vintage shopping, Vintage Shops Melbourne, vintage St Kilda, womens vintage. Bookmark the permalink.